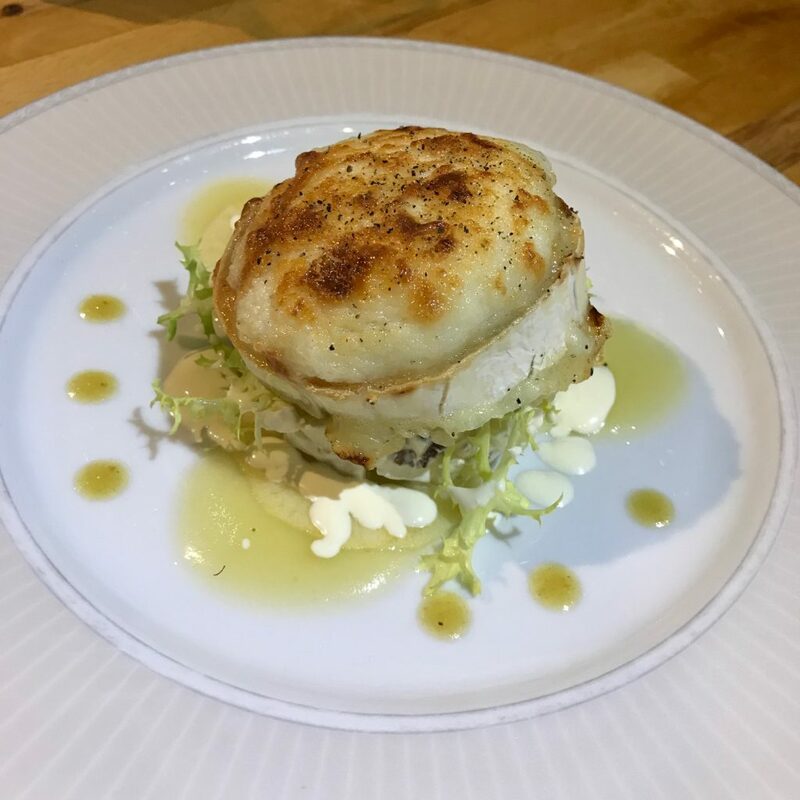 Gilled the Goat’s Cheese on a Crouton, which sat on the Waldorf Salad with Apple Puree, wafer thin Apple in Lemon Juice, Soured Cream and Dressing. 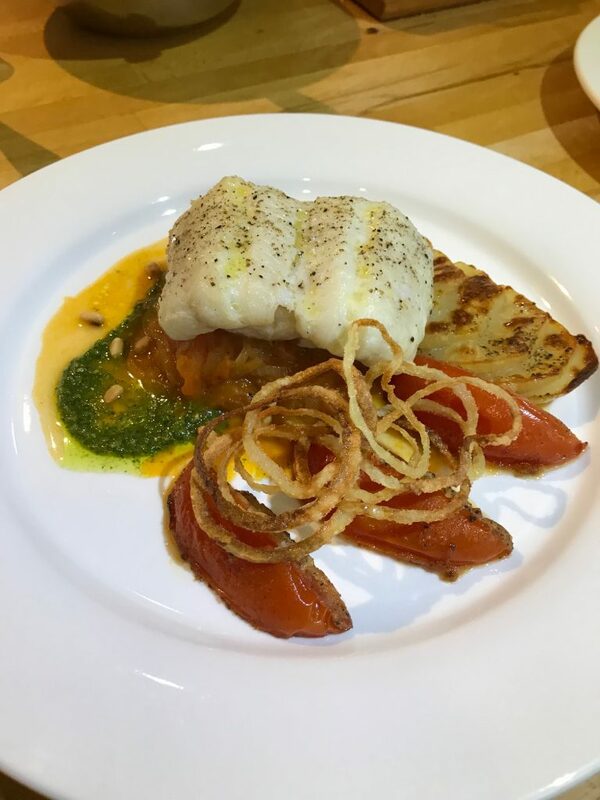 Baked Haddock with Butter served with stewed Tomatoes, Pesto, Pommes Saute, crispy Onion rings and a Tomato and Shallot dressing. Sweet Pastry with Lemon Zest, filled with very tangy Lemon Curd, topped with sweet and soft Meringue served with soft Lemon Curd Ice Cream.